Back in August we reported that Newton County Schools through their Superintendent, Samantha Fuhrey, requested a waiver from the state of Georgia to opt out of the Georgia Milestones Assessment System for the upcoming assessments (2017 school year) for third through eighth grade. Ms. Fuhrey was hoping instead to use the Iowa Assessments to assess students. Well, she received an answer earlier this week from the state. The state as thrown out her request; request denied. According to Richard wood, if Newton County Schools wish to opt out of the Georgia Milestones they would have to prove that the Iowa Assessments lines up with the Georgia Standards. The adaptive learning landscape is heating up, big-time. With the development and widespread use of the Common Core Standards by states across the country, it is now more feasible for major education content publishers to get into the learning technology game. Publishers are not just trying to get into this space of technology, they are offering tools that bring individualized lessons and activities. These are lessons that are designed to meet the needs of students based on their current level of performance demonstrated through the platform. This approach is referred to as adaptive learning. Waggle is a Triumph Learning product. Summary: Waggle is an online learning management software that provides lessons, games and assessments in alignment with the Common Core Standards. Waggle utilizes the Knewton's technology to determine the precise lesson that a student needs to be working on. This allows students to grow in a manner in which they are not being bored by content that that they have already mastered. Also, they will not become overly frustrated, because they are being presented with content that they are not developmentally ready for. Waggle is reasonably priced at $10.00 per student for each subject. That works out to $20 per student for Math and Reading. For schools and districts, there are site licences available that will bring the cost down per pupil. Waggle is a Triumph Learning product. Therefore, they will have access to high quality content. Triumph is also the publisher of the Coach text series. These texts definitely complement the Waggle Software. According to Waggle, "Our site license starts at schools with student population of 300+. Prices can go as low as $6 per student per subject for Smart Practice for large schools. We are also offering a blended learning grant currently to districts to support their investment in and professional development of Waggle. " All the games on Waggle are educational in nature. Teachers may assign games to students as a part of the curriculum. Students earn points for participating in games and practice sessions. 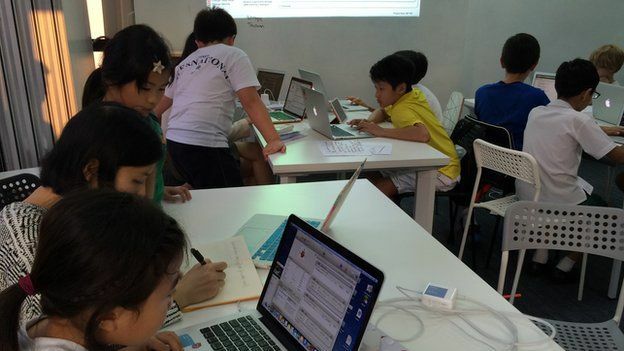 “The global market for mobile applications will more than double from $47.7bn (£30.8bn) in 2014 to $99bn (£64bn) in 2019.” This potentially lucrative career path is causing many to make the sacrifice in order to give their children a head-start and pay for private lessons. 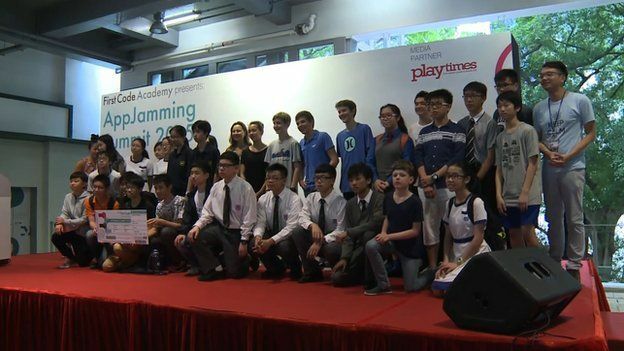 The government of Hong Hong is promising to make computer programming compulsory as a part of the secondary school curriculum. This will make computer programming accessible to the entire population. Power companies know your behavior, and they know the behavior of companies. In any country in the world, the peak energy demand will be between sun-up and sun-down. For this example, we will use Georgia Power. Georgia Power has three rate periods: on-peak, off-peak and super off-peak. You can use this information to reduce your electricity bill by investing $0.00. The On-Peak period is defined as the hours between 2:00 p.m. and 7:00 p.m. Monday through Friday for the calendar months of June through September (Summer Months). The above hours on days in which the following holidays are observed shall be considered Off-Peak: Independence Day and Labor Day. The Off-Peak period is defined as the hours between 7:00 a.m. and 11:00 p.m. for weekends, holidays, and the calendar months of October through May. The Off-Peak period for the calendar months of June through September (Summer Months) is defined as the hours between 7:00 a.m. and 2:00 p.m. and the hours between 7:00 p.m. and 11:00 p.m. Monday through Friday. The Super Off-Peak period is defined as the hours between 11:00 p.m. and 7:00 a.m. Monday through Sunday for all calendar months. Knowing this simple information can save you money. All you have to do is slightly modify your behavior. The appliances that will consume the most energy in your home will include your air conditioning, washer/dryer, and refrigerator. If you have children at home during the summer time, you will pay more to keep them comfortable. To save money using this rate schedule, make some sacrifices during the daytime and splurge at night. You can do things such as performing activities at night that requires a lot of electricity: iron, wash and dry clothes, etc. If you have to run your air conditioner during the daytime, increase the temperature threshold for your thermostat and run ceiling fans. While you are at it, you could increase insulation and plant tall trees. Native Germans and foreigners alike can study in Germany for free. According to a report published by the BBC , there has been a 23% increase in the number of Americans studying in Germany since 2013. The trend in the amount of students, which now stands close to 5, 000 students, shows no sign of abating. As more and more students are placing themselves in deep financial holes due to the financial constraints of gaining a higher education in the United States, students from around the country have been looking for alternatives. The differences between the “Harvard of Germany and your average community college” stated Jay, who runs an agency in Germany to help Americans with their transition to study in Germany, is not the same as the gulf that exists between an Ivy League institution and your local community college in the United States. Therefore, the vast majority of students end up going to the college of their choice and can generally expect to have the same level of respect upon graduation. Why is Germany doing this? Germany sees this as a form of investment. By investing in human capital, Germany is of the opinion that they can attract smart and talented people from overseas as well. They are hoping that a significant percentage of new, highly skilled, foreign nationals will remain in Germany and start enterprises there. That appears to be working. According to the German Academic Exchange Service, or Deutscher Akademischer Austausch Dienst (DAAD) in Germany, 50% of foreign nationals remain in Germany post graduation. According to the BBC, “Of the 170, 000 students in the capital city of Berlin, more than 25, 000 are from outside of Germany. 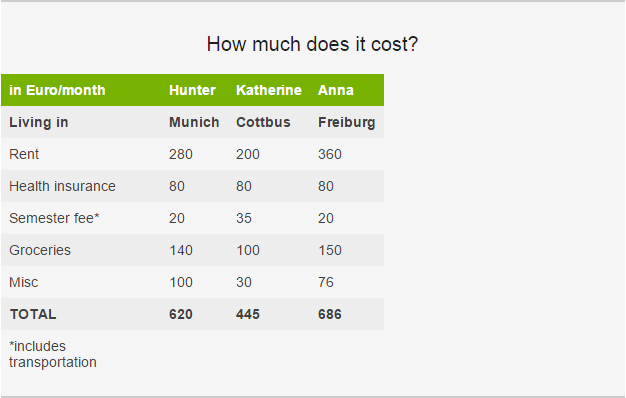 In simple math, that’s €332.5 ($364.3) million that Berlin spends a year on foreign students.” Obviously Germany sees this as a strategic investment. Will more rich countries follow suite and help to promote the general welfare of the whole human race? According to USA Today, the current student debt in the United States stands at over $1 trillion dollars. To put just how much money this is into perspective, if America’s student loan debt was a country, it would have the 22nd largest GDP in the world behind Thailand, according to IMF data. To get more information on how you could take advantage of this opportunity, visit DAAD to search for programs to study and Uni Assist to find out what you will need to study in Germany.